Canada has significant room for growth in the medtech sector. Despite many ingredients for success, including a well-educated population and high quality health care system with strong clinical research capabilities, we import $8.6 billion in medical devices each year while exporting just $2.3 billion. We are not lacking in our ability to make medical discoveries but we are deficient in the expertise needed to commercialize these discoveries. 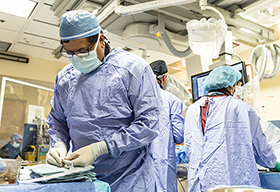 Sunnybrook is poised to take the lead to address this skills gap by launching the Medventions Program. 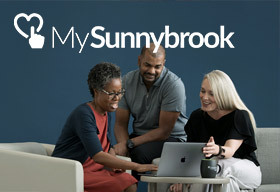 As pioneering and entrepreneurial as the name implies, Medventions is Sunnybrook’s grassroots avenue to fulfill the global and Canadian demand for innovation and cutting edge technologies in health care. The program provides a streamlined entrepreneurial training approach focused on nurturing medtech expertise. Medventions' mandate is two-fold: (1) Pave the way for new generations of medtech-gadgets that are directly targeted at unmet clinical needs; and (2) mentor scientists, clinicians and engineers in the complexities of bringing their innovations from bench-to-bedside. Our ultimate goal is to enable patients reap the benefits of these medical inventions and benefit our health care system and community by streamlining processes and alleviating strain on health care resources. 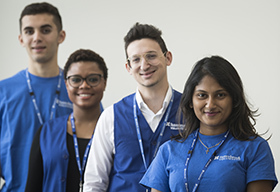 Key components of the program include Medventions innovation internships, a bi-weekly medtech innovation seminar; an annual innovation symposium; and an online medtech community portal. 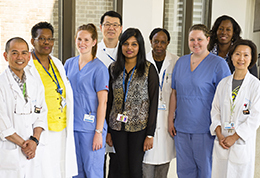 Copyright © 2019 Sunnybrook Health Sciences Centre. All rights reserved.